Flooring Asheville - One home at a time! What do you like to walk on? Carpet, Hardwood, and Tile are just 3 of the many choices you will find in a flooring showroom in Asheville. There are colors, styles, feels, and many other decisions to make when choosing the right floors for your kitchen, bathroom, living room, porch, bedroom, or anywhere else you walk in your home. It's a choice you will enjoy or hate for many years to come so it makes a lot of sense to enlist the help of a professional team that knows the "in's and out's" of flooring. 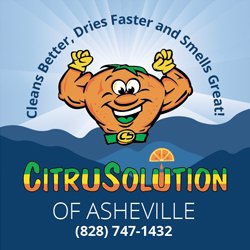 Located in North Asheville, one company is making the process as easy as possible in their new showroom (133 Weaverville Rd. Asheville, NC 28804) and at your home with their Mobile Flooring Showroom. Dennis Rhodes and the team at Floor Coverings International have many years of experience in consulting, sales, installation and service of all types of flooring from the USA and all around the world.